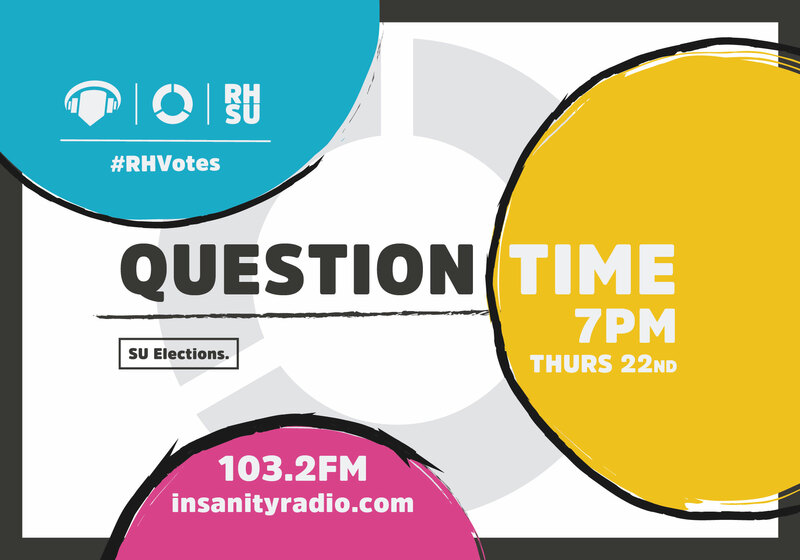 On Thursday at 7PM, we broadcast live coverage from the Royal Holloway SU sabbatical elections. Our Head of Operations quizzed the candidates, alongside Michele from Orbital, and Owen from rhubarbTV. Can’t join us then? Don’t worry! It’s already up on MixCloud. Our pals at rhubarbTV will be sharing a video, too, so you can see all the best bits on camera.